You care about your brand. We understand. As an established family of brands, we get the importance of representing your business or organization with the right customized apparel. We’re excited to announce the release of our 2019 Corporate Collection Catalog. You can view it online right now. You can also order a printed copy on our website or by calling our Customer Care line at 800-237-6695. 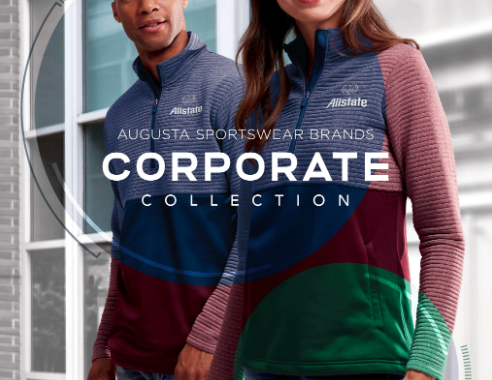 With Augusta Sportswear Brands, you get the styles, colors, sizes, and – most importantly— inventory to make sure you get the look and quality you want and deserve from our good/better/best scalable brand offerings. Combine this with our world-class customer service and delivery speed and you have the perfect partner to help showcase your brand in 2019 and beyond. Whatever your field, we think you’ll find Augusta Sportswear Brands is a perfect fit.